Unique - solar heating PV inverters. Older inventory making way for new. Our competition has the most Ministry of Labour infractions of any small business in Ontario! New - Heat & Electricity from one Inverter! 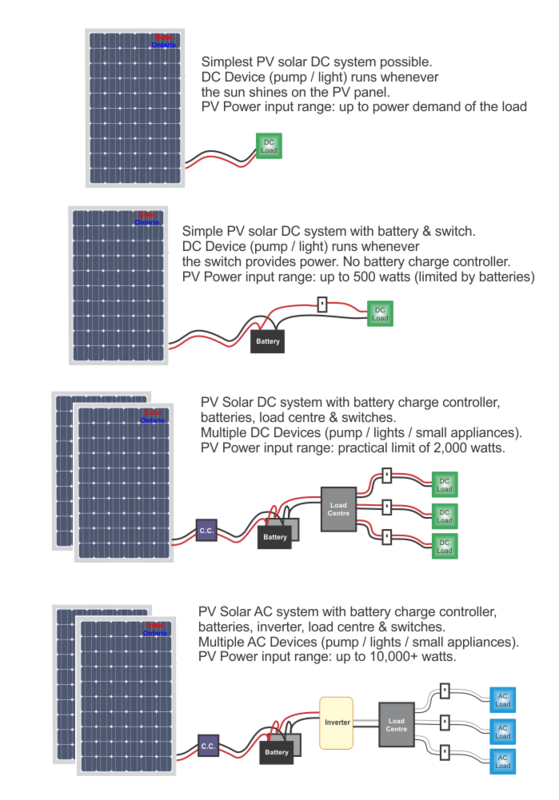 Heating and backup/emergency power from a single cost-effective PV inverter. Finally - Solar for everyone! In this section we touch on a few of the basics around solar electricity used for powering equipment found in homes and cottages - specifically for use in Ontario and generically Canada. This is not a technical review of how solar cells work or are manufactured. Solar electricity - obviously - is generated from the light from the sun. 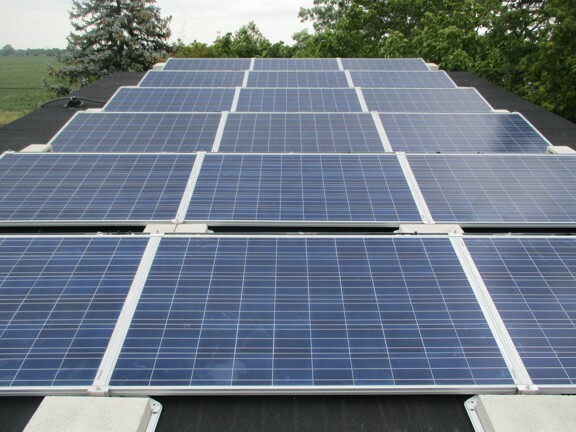 Solar panels, also known as Photo-Voltaic or "PV" panels, convert sunlight into electricity at a rate dependent upon the intensity of sunlight on the panels. Sunlight intensity is highly variable depending upon the time of day, the direction the panels face and the weather. 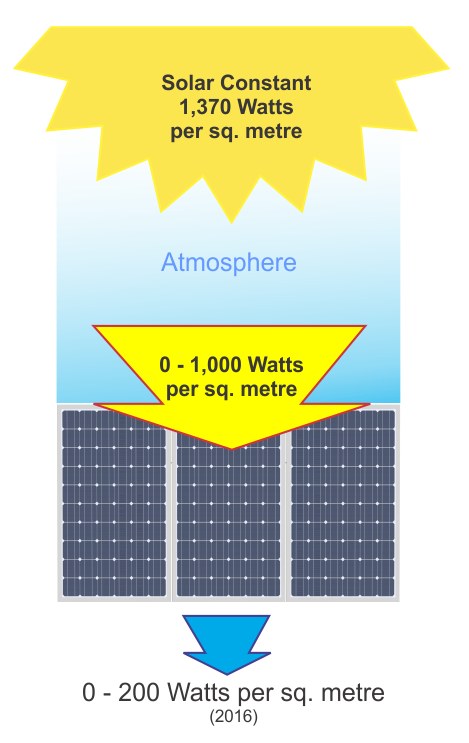 The intensity of sunlight at sea level varies between 0 and approximately 1,000 watts per square meter. The highest level only being achieved under completely clear skies, with low humidity, facing directly square to the sun. With a fixed surface this can only happen once a day. Solar panels that accurately and continuously track the movement of the sun can collect approximately 40% more energy a year than panels that are fixed. Tracking systems are significantly more complex, expensive to install and do require regular maintenance to keep operating as they should. Solar panels convert sunlight to electricity, but they only convert some of the sunlight to electricity, the rest is converted into heat. A really good PV panel (as of 2016) can convert up to 20% of the solar energy shining upon it into electricity. The efficiency of PV panels has been increasing, with very small experimental PV cells (not panels) converting light at rates of 30% to 35%. It will probably take a many years before the average PV panel efficiency exceeds 25% - despite the fact that many companies are spending billions of dollars on R&D trying to increase PV panel efficiency and lower the cost per watt of delivered electricity. 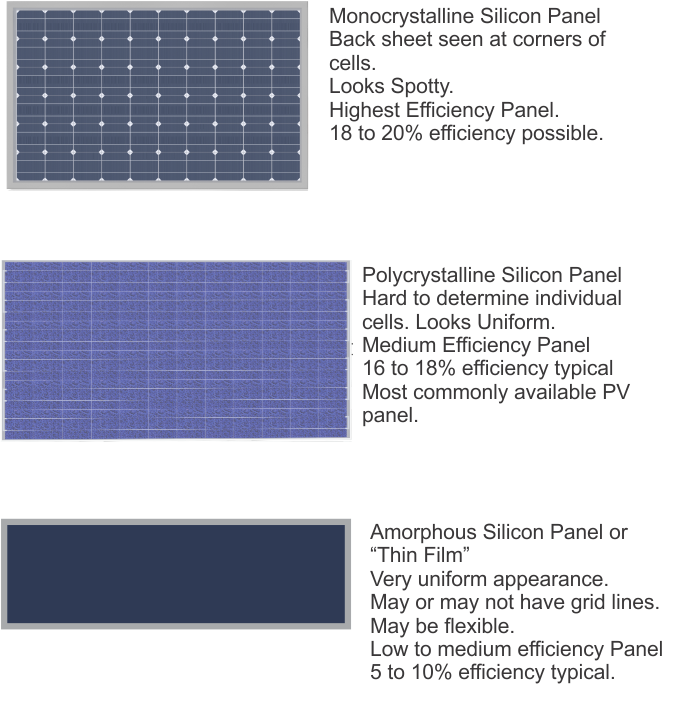 There are several different PV panel technologies - the three main types are shown below. As the power of the system grows larger than 500 watts, 12 volt systems become difficult and tricky to wire because the current in the system can get very high, requiring large electric cables and high current DC switches. Typically 500+ watt PV systems are built with inverters to step up the voltage and convert to AC (Alternating Current) electricity. Low voltage (12 volt) DC systems are typically found in small off-grid applications and recreational vehicles. For larger off-grid and all on-grid applications the PV power is converted to AC voltage. Converting DC power to AC power requires the use of an inverter. Some inverters are designed to take power from the PV panels and convert it into AC power and inject it into a power grid. These are known as Grid-Tied Inverters. 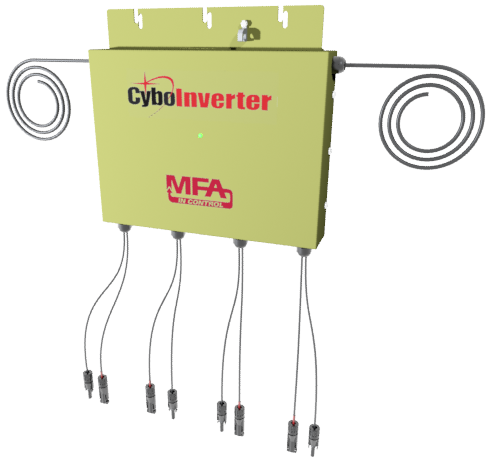 Grid-Tied inverters come in a number of configurations. 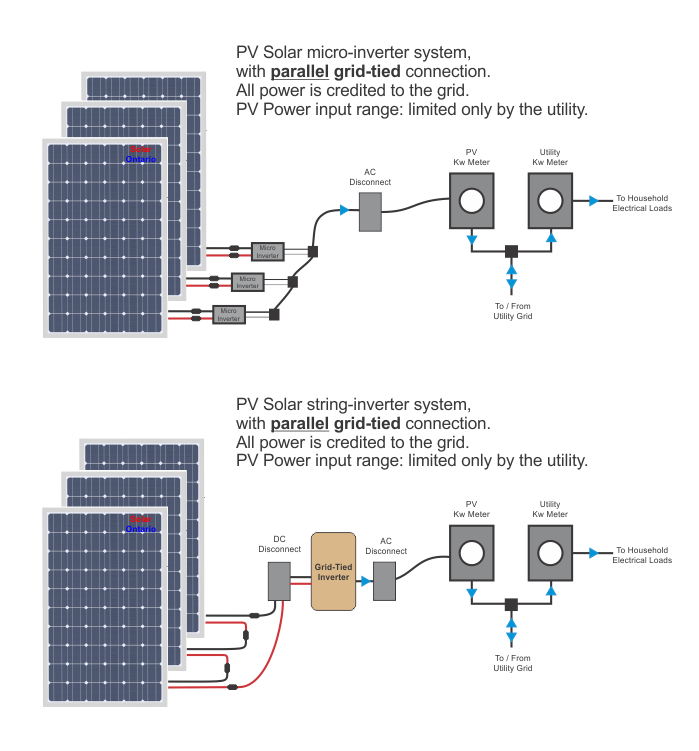 Two distinct types exist: Micro-Inverters that are mounted on the PV panels and immediately change the DC power to AC power, and String-Inverters that take the power from a group of PV panels that are strung together in series, (generating a higher DC voltage) that is converted to AC voltage by the inverter. String inverters most often placed away from the PV panels. There are advantages and disadvantages to both inverter approaches. 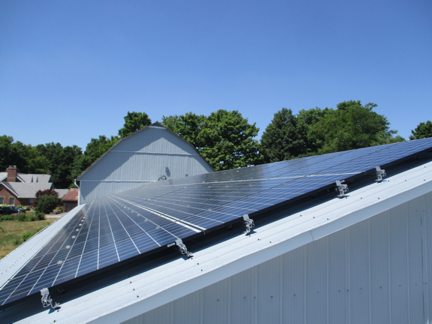 Solar Ontario designs systems using either type of inverter after determining which is the better technology for a specific application. In non-grid-tied PV systems batteries are usually used to store the electricity generated by the PV panels. Batteries are a complex technology all by themselves. For small low power systems that are less than 200 watts, one or two 12 volt batteries may be all that are required and battery charge controller may not even be required. For larger systems, a battery charge controller / regulator is absolutely necessary. Some of our recent installations.